Our hotel in the heart of Paris, ideal for exploring the neighborhoods by walk ! Le Marais and Place des Vosges : Le Marais with Place des Vosges, take a walk in the streets of Le Marais, in the heart of Paris, between architectures, shops, restaurants, culture and history. Ile Saint-Louis de la Cité : located in the center of the Paris, these mythical and historical places offer a romantic and cultural journey where harmony and beauty are deliciously blended with the two jewels of medieval French art: The Sainte Chapelle and Notre-Dame de Paris. Picturesque streets, wiggly alleys, old cafes, restaurants, terraces overlooking Notre Dame and art galleries will make your stroll a memorable one. For a moment of relaxation, you can take a walk along the Seine, in the gardens and the courtyards. 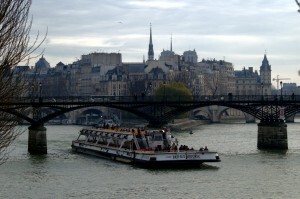 Do not hesitate to go there to discover all the secrets and other wonders of the Ile Saint Louis and Ile de la Cité. Rue Mouffetard and Place Monge : very picturesque, this is one of the oldest streets in the capital and it is here that you can relive Romans time in the first century, through St. Genevieve’s mountains to Church Saint-Médard. Do not worry, shops and restaurants of the XXIst just waiting for you to spend a nice time! Boulevard Saint-Michel : very attractive place in the heart of Paris to discover bookstores and shops, all lulled by the animated Parisian shops and restaurants. 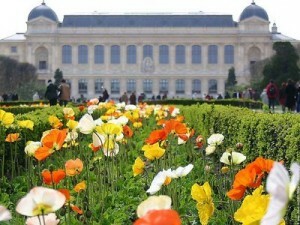 Jardin des Plantes : a quiet and peaceful place where you can escape for a few moments in the Parisian life: with its exceptional fauna and flora, the Jardin des Plantes is an exceptional place where voluptuous fragrances of nature will exalt you. Saint-Germain-Des-Prés : this area has a very strong soul and is one of the most attractive place of the city and it’s just a few steps from the Hotel Abbatial ! 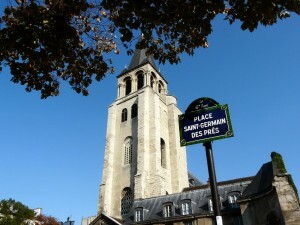 Born from actors, philosophy and Jazz notes, Saint-Germain-Des-Prés will leave you breathless. This district offers you a travel back in time when artists and philosophers used to lived and discussed in this unique place. Luxembourg Garden : it is because of Marie de Medici that the Luxembourg Gardens have been created in front of the Palais du Luxembourg. Open to the public, the Luxembourg Gardens offers a great walk in the nature with their beautiful flower borders and sculptures. Games for children, puppet theater are also provided to the delight of youngest. The Luxembourg Gardens are deffinitly an attractive place in a natural environment in the heart of Paris.